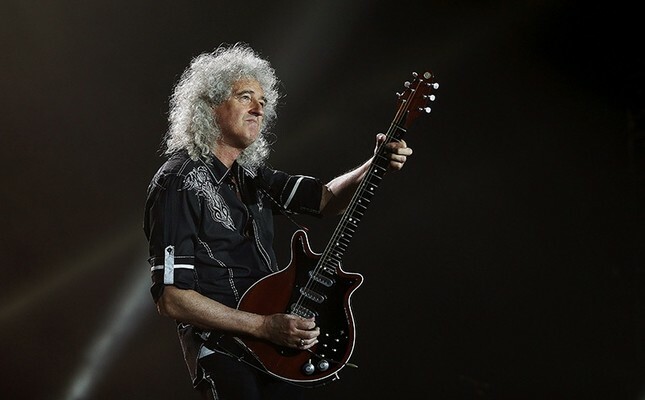 The iconic British rock group Queen is trying to stop Republican presidential hopeful Donald Trump from using their hit song "We Are The Champions" at his rallies, lead guitarist Brian May has revealed. "Permission to use the track was neither sought nor given. We are taking advice on what steps we can take to ensure this use does not continue," founding band member Brian May wrote on his website. May, 68, said he had received an "avalanche of complaints" about Trump using the anthem during an appearance on US television on Tuesday. Trump most recently played the song ahead of a speech after the final Republican primaries on Tuesday evening. "Regardless of our views on Mr. Trump's platform, it has always been against our policy to allow Queen music to be used as a political campaigning tool," May said. "Our music embodies our own dreams and beliefs, but it is for all who care to listen and enjoy." "We Are The Champions" was written by the group's late lead singer Freddie Mercury in 1977 and is an enduring celebratory anthem heard at sports finals. Queen, currently on a tour of European festivals with US singer Adam Lambert, is not the only band to complain about use of their songs during political rallies. This year alone, Rolling Stones, Aerosmith, Adele, REM, and Neil Young have complained about the use of their music by Trump.